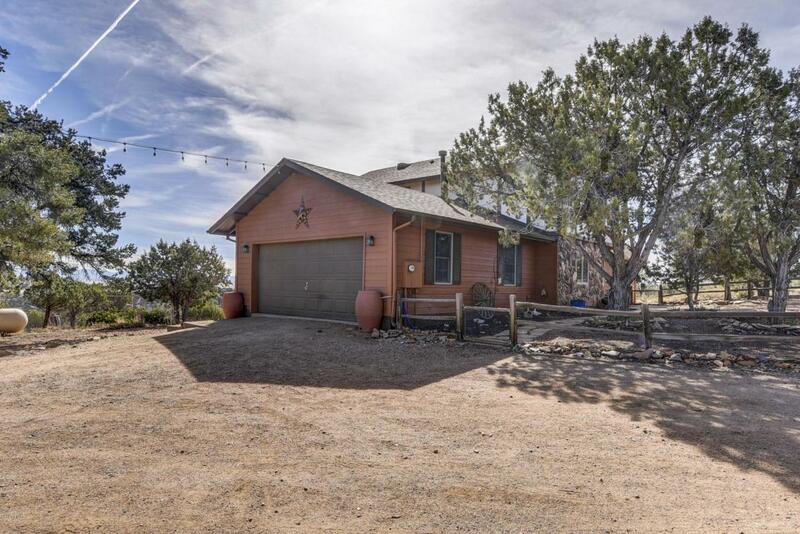 Beautiful rustic ranch home on 7.49 acres of unspoiled beauty in Prescott's Williamson Valley! 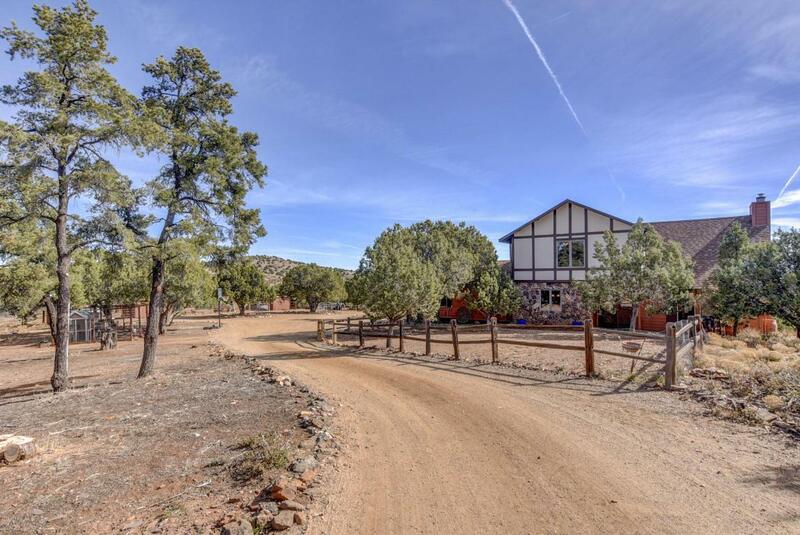 Equipped for horses and farm animals but only minutes to downtown and no HOA! 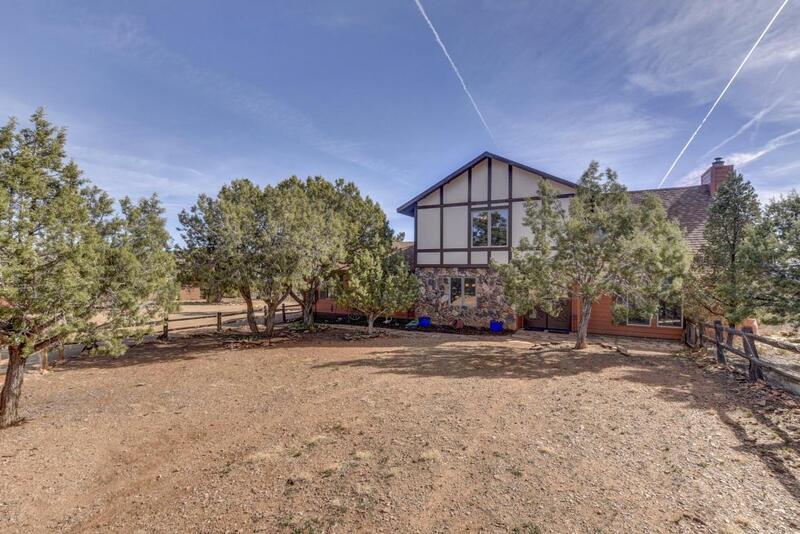 Perfect rural setting affords serenity with pinon pines, oak, juniper trees and stunning panoramic views of the Valley below, Mingus Mtn & San Francisco Peaks. Watch wildlife & magnificent sunsets or gaze at the stars on the large deck. Family room with soaring wood ceiling & wood burning F/P. 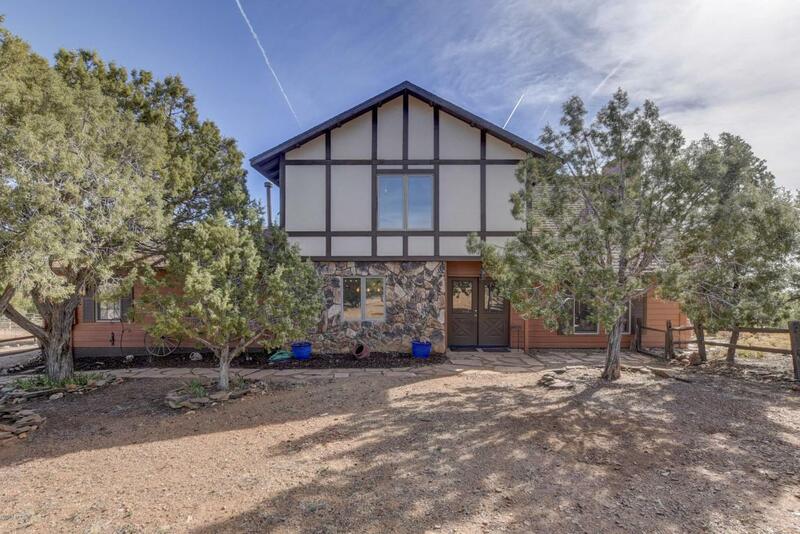 Beautiful tongue & groove vaulted ceilings on main level. Spacious eat-in kitchen is bright and well equipped with new double ovens & extra large frig. Three oversized ensuite bedrooms with walk-in closets. Newer (2016)Trane hybrid heat pump for electric/propane dual heat & AC ensures yr round comfort.